We have successfully covered events such as the 2013 TGI Friday’s UK Road Show, ST Patricks day Emerald Village Digbeth, Flat pack festival, swingamagic festival, city of colours, world cup live football screening live at the custard factory and the old crown digbeth and Also sales such as ted baker and reiss. As well as many Celebrity weddings, private celebrity parties, book signings, launch parties, music shoots, festivals, concerts, photo shoots, hospitality, red carpet events, premieres. Any celebrity involvement at an event is kept strictly confidential and organisers will have a service that will be well regulated, professional and polite. 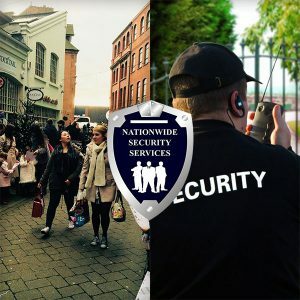 We are involved in all stages, from planning in the run up to the event to crowd control during and after the event to give peace of mind to all involved. We also supply a full security and logistical consultation service, high and low impact crowd barriers as part of the high quality service. We can also provide you with a registered health and safety officer for all of your event needs.